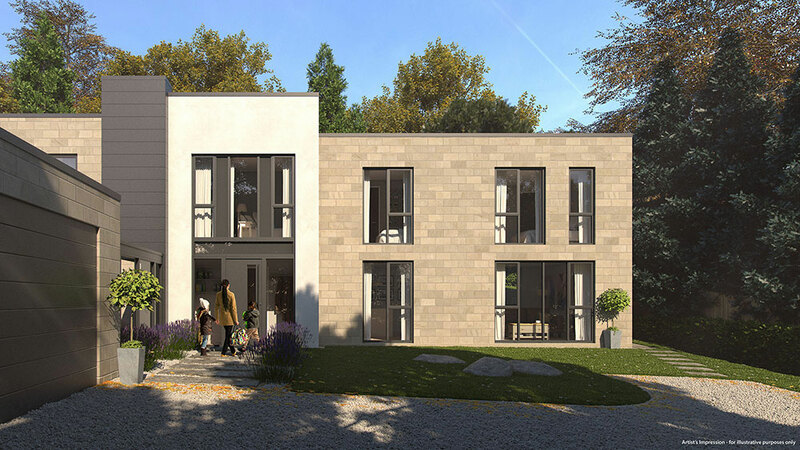 Brightman Clarke Architects were appointed to work on a new build contemporary home. The site already had planning approval for a new build house which had been design by another architect, CRL Architects. Brightman Clarke were appointed to amend the design slightly and work the project in detail, basing our work on the previously approved scheme. The revisions to the design required a new planning application by Brightman Clarke, which was approved in 2018. Brightman Clarke will be delivering this scheme on site through to completion. This 4 bedroom home has been designed to create a high quality modern property which sits well within it’s context. Whilst being on a challenging site in Sheffield with level changes across the plot, the large open plan spaces open up onto private, tiered gardens. The proposal contains a mixture of white render, natural stone and zinc cladding to create a well balanced design that references a range of architectural styles found in the area.